"What do I need a will for? I don't own anything." You need a will. Even if you own nothing now, your death could result in a legal claim (e.g. you die in a car accident) which would make it essential that you have a Last Will and Testament in place. "What does a will do?" Other than naming the beneficiaries of your estate, the Last Will and Testament appoints the Personal Representative, the person in charge of your affairs after you are gone. (It also nominates a guardian for any minor children you may have.) Equally important, having a will removes a lot of red tape from the probate process, saving you time and money. A lot more money than the cost of a will. "Can't I just find the forms on-line and fill them out myself?" Yes. But you will pay the same or more than what we charge to have an attorney prepare and draft your estate plans for you. The biggest mess I had to clean up was from an on-line will which did not conform to Massachusetts law. "So, what's the process? How does it work?" We meet to discuss your situation and formulate an estate plan. After I have drafted the estate plans, we meet again to review and sign them. Each meeting takes about an hour. "What is all this going to cost me?" We charge a flat rate of $300 for the basic estate plans which includes the will, power of attorney, health care proxy and medical release forms. "Do I need a trust?" Some people do. Most don't. There are many different types of trusts that do different things. We generally recommend them for homeowners and elders as forms of probate avoidance and asset protection. 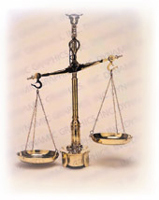 We would have to analyze your case to determine if a trust is right for you.